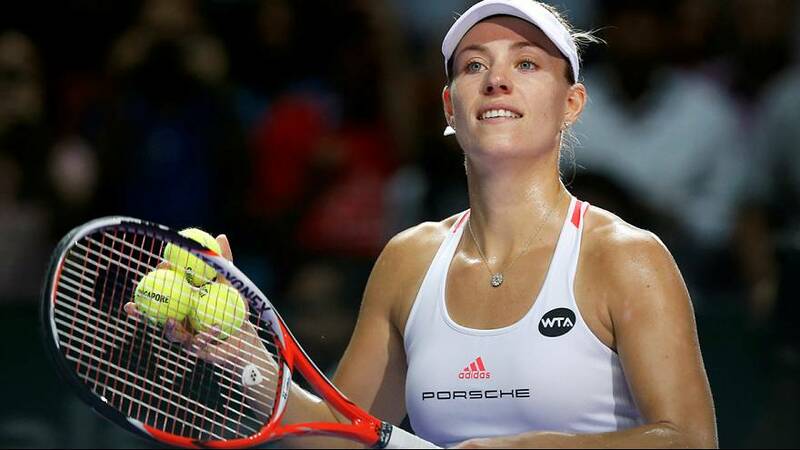 The German who won the Australian and US Opens this year and overtook Serena Williams at the summit of the world rankings, was in devastating form against defending champion Agnieska Radwanska. Kerber took no prisoners on the day and dismantled her Polish opponent in straight sets. The 28-year old left hander was a model of consistency throughout the tie and booked her ticket to a first final at the elite eight-player season-ending event with a 6-2, 6-1 victory. With the win she has set up a title showdown with the only player to have taken a set off her in Singpaore this edition – competition debutant Dominika Cibulkova. Ealier in the day in the other semi-final, Slovakia’s Cibulkova recovered from a sluggish start to overcome Russian Svetlana Kuznetsova in three sets. The world number eight and seventh seed in Singapore lost the first set 1-6 but bounced back to level matters winning the second on a tiebreak. Two time Grand slam champion Kuznetsova raced into a 4-2 in the decider but Cibulkova dug deep to win the next four games and seal her place in Sunday’s final.